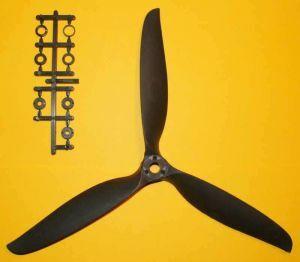 Basic description: pair of plastic sheets for folding propeller 6x3, blade root thickness 6 mm. Basic description: pair of plastic sheets for folding propeller 7x4, blade root thickness 6 mm. Basic description: pair of plastic sheets for folding propeller 8x4, blade root thickness 6 mm. 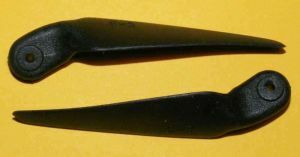 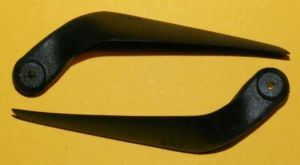 Plastic airscrew 12x6 for electromotors.